After a 30km hike on Saturday (more about that soon!) in 30+ degree temperatures, I was pretty out for the count by early Saturday evening, that was until I was suddenly awoken with a start, though it wasn’t until the next morning that I found out why. 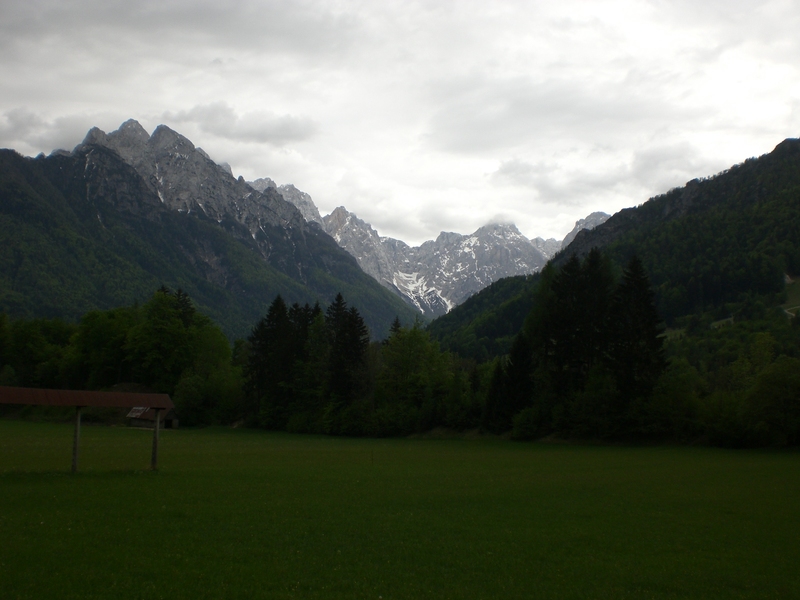 There was an earthquake, measuring 4.1 on the richter scale, the centre of which was in the Bovec area in the Soča valley, and was felt throughout the west of the country. 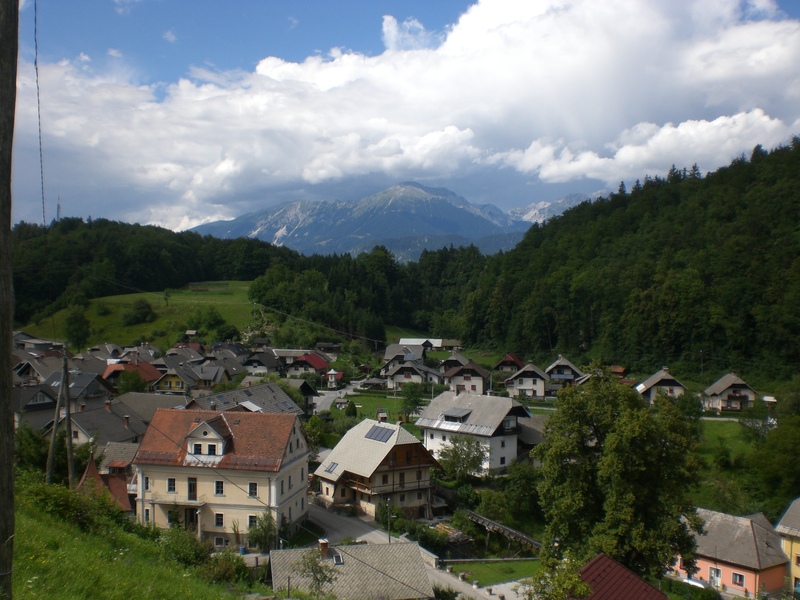 In fact, earthquakes are not an entirely uncommon occurrence here, there have been four recorded this year and in April 2014 there was a 4.4 magnitude quake in South-West Slovenia. However, the majority of them are almost undetectable. The biggest earthquake, 6.1 magnitude, struck Ljubljana in 1895 on Easter Sunday. 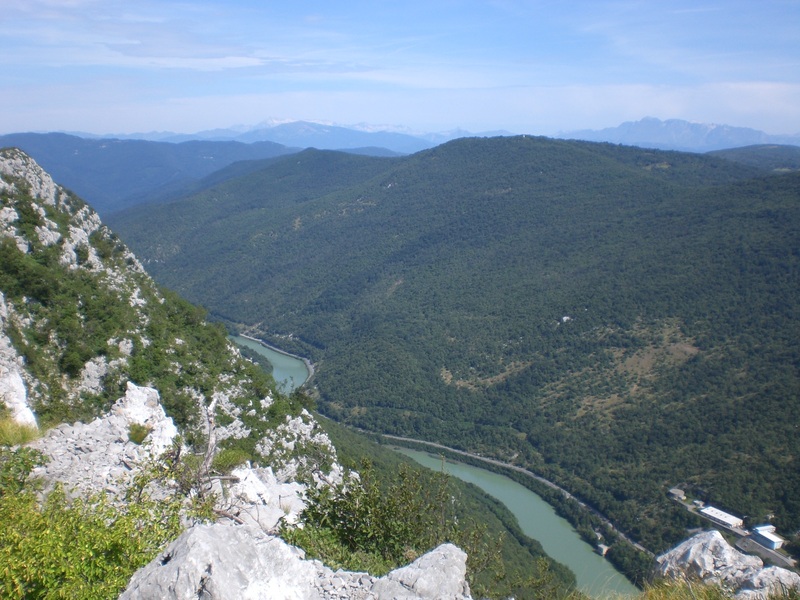 Seventeen years ago one of the strongest quakes of this century, 5.6 magnitude, caused considerable damage in the Soča valley area, but fortunately no lives were lost. 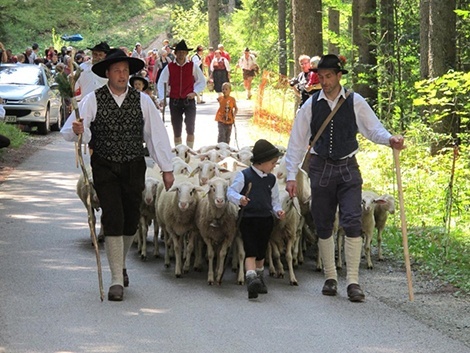 The annual Langusovi dnevi (Langus Days) event begins this week in the village of Kamna Gorica. 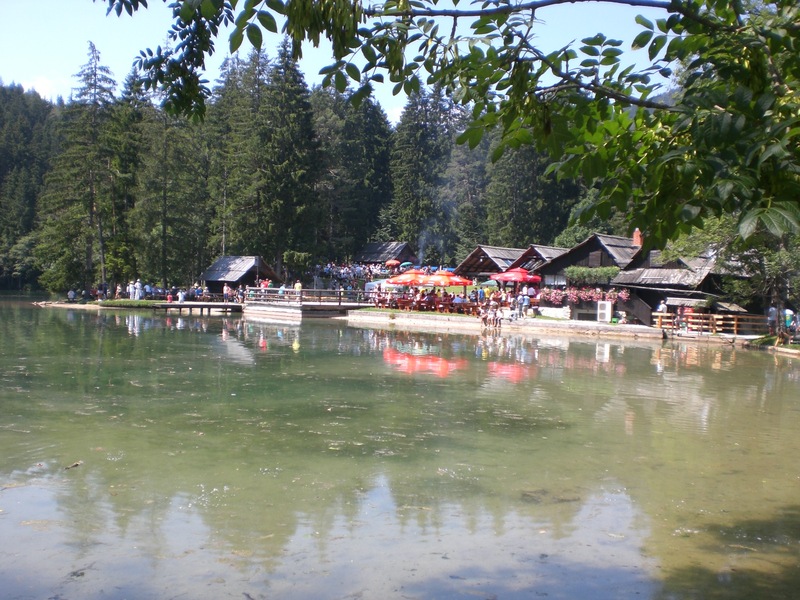 The event is held on the first weekend of September in memory of the painter Matevž Langus (1792-1855). 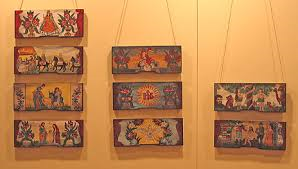 Various artistic, creative, social and recreational events, for adults and children alike, take place during the course of the celebration. 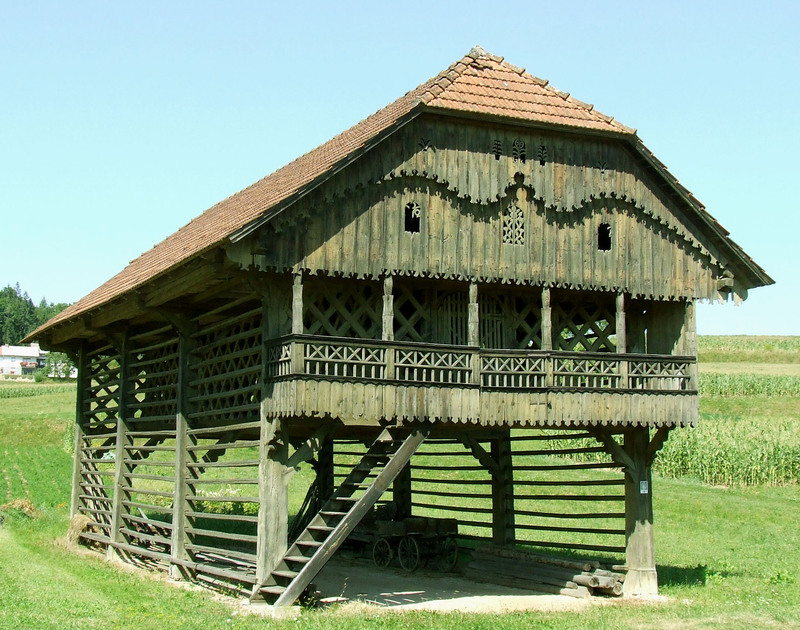 For its size the small village of Kamna Gorica, in the Lipnica valley, crams in a number of sights of interest. 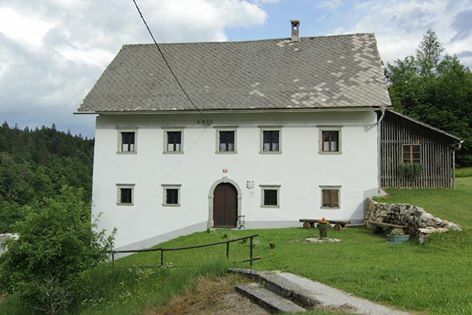 The Sextons’ Museum House, dating from 1803, stands perched on a small hill above the village, next to St. Trinity’s church, and affords wonderful views across the village and to the mountains of the Karavanke range. Finally, as summer slowly draws to an end (boohoo!) 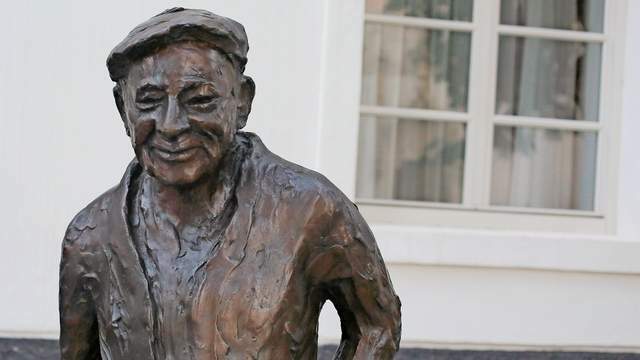 it’s official that this has been the 2nd hottest summer ever since records began in 1900, with 42 days being above 30 degrees C.
There’s a new old face in Radovljica’s old town in the form of a new bronze statue of Dr. Cene Avguštin (1923 – 2010), created by the academic sculptor Tatjana Kostanjevič. 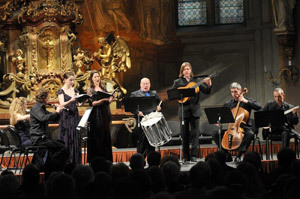 The statue stands in the square between St. Peter’s Church and the Radovljica Mansion – home to the Museum of Apiculture, the Municipal Museum, a music school and the venue for numerous concerts, weddings, exhibitions and other events. Dr. Cene Avguštin was an art historian and conservator and an honoured citizen of Radovljica who strived to popularise cultural heritage through his work which included museum and gallery activities (director, custodian), architectural and urbanistic development of Gorenjska’s medieval towns and squares, and professional lecturing. 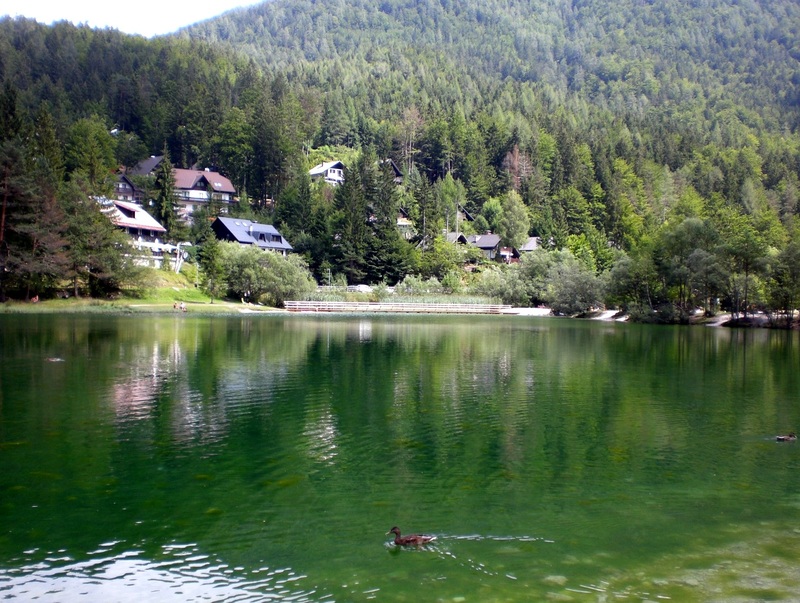 This week I revisited Lake Jasna in Kranjska Gora as I had read about its recent facelift. 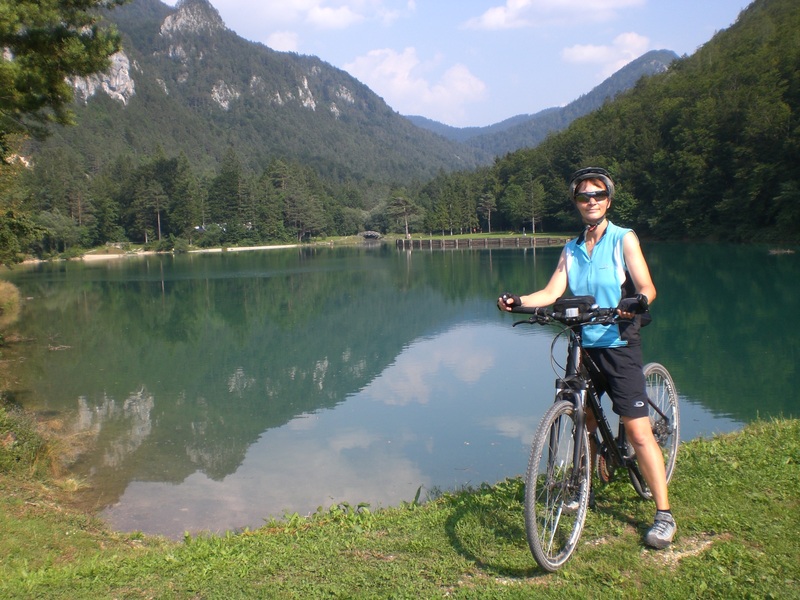 The small lake has always been a popular spot with its backdrop of the Julian Alps, crystal clear water and en-route to the Vršic pass. However, it had long felt somewhat neglected, so its new appearance, complete with wooden chairs, bridges and a small tower is most definitely a welcome and well-received improvement. 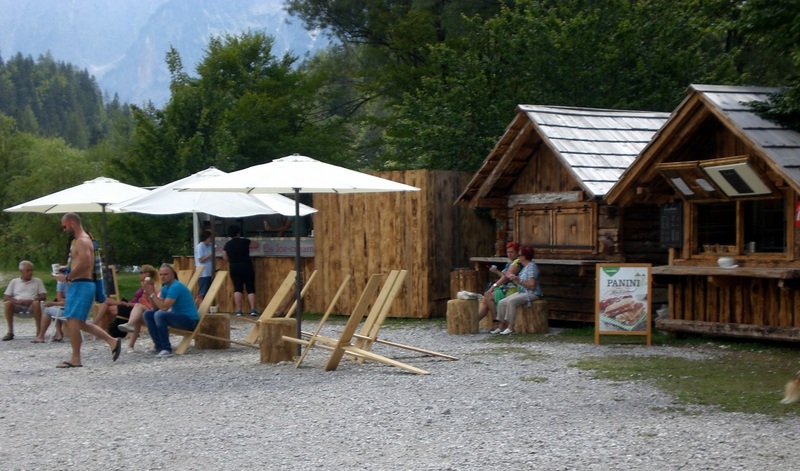 And finally there’s somewhere to get an ice-cream and a drink and to sit and soak up the scenery. 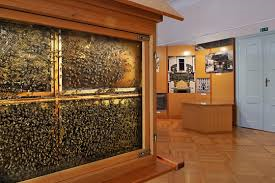 On Thursday last week I went to the Beekeeping Education Centre of Gorenjska* (CRICG) in Lesce where an exhibition was opened about the new Beekeeping Educational and Panoramic Path in Gorje. So, of course, I then had to go and check out the path for myself, and panoramic it certainly is. 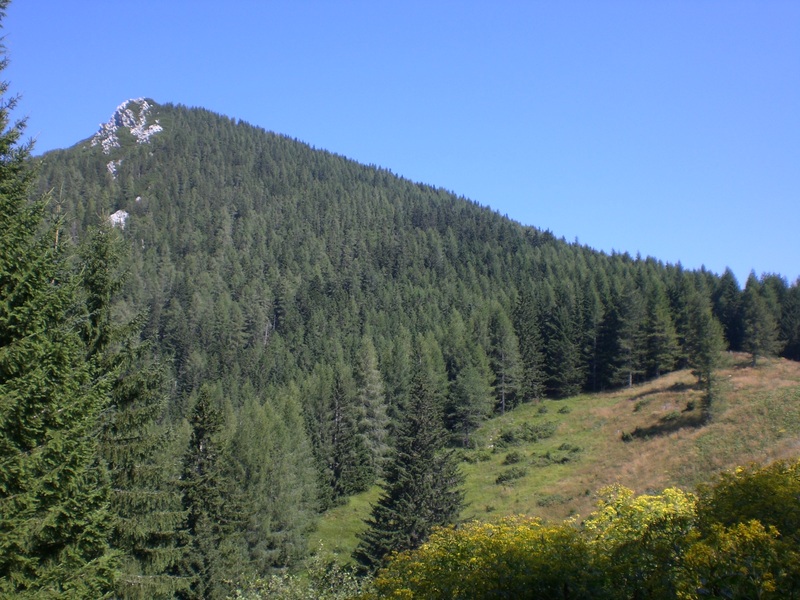 Even if you are not particularly interested in beekeeping, I’d highly recommend the path, the views alone make it worth the effort, and if you are interested in beekeeping too then it’s a win-win all round! 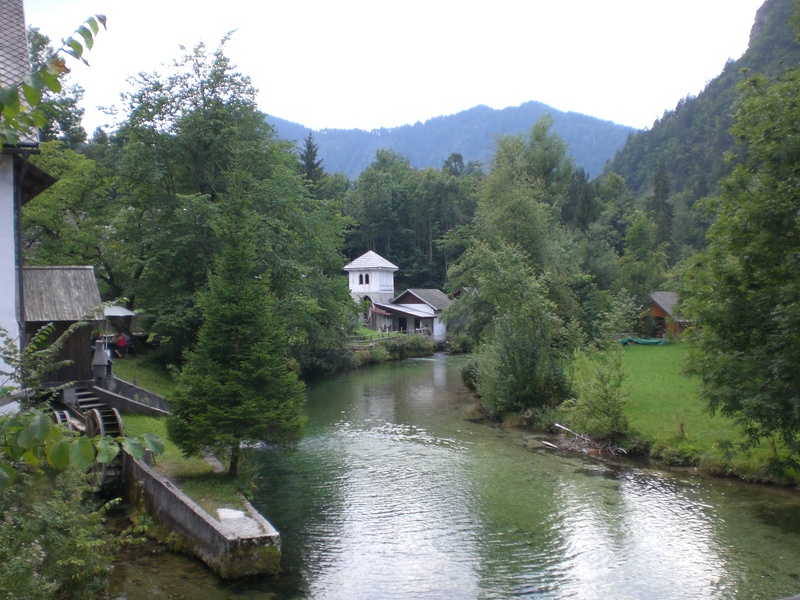 The circular path begins in the village of Spodnje gorje which is on the road from Bled towards Pokljuka. 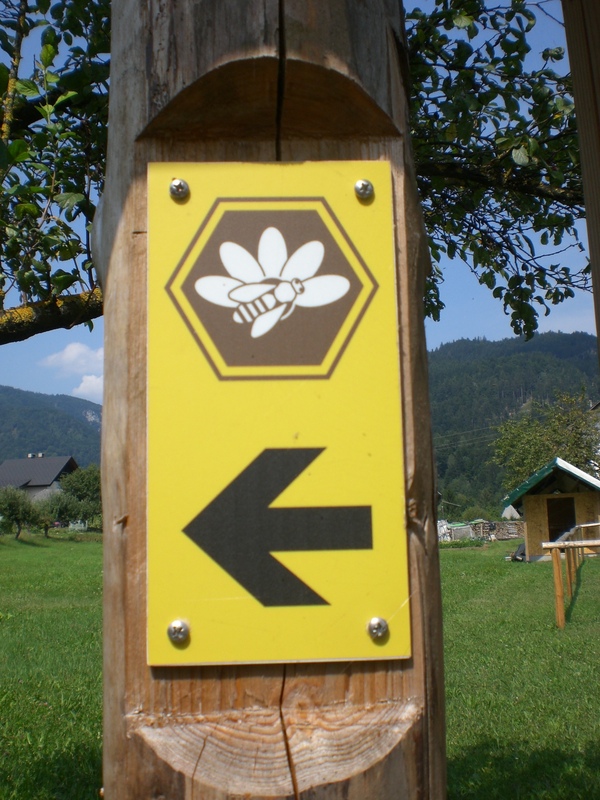 There is an information board about the path (in Slovene and English) and a little further on also information about the Slovenian Carniolan honey bee. The path is marked throughout with these yellow bee symbols. Occasionally the signs are a little sparse but, as I discovered, unless there is a sign to the contrary just keep going and sooner or later there will be another sign pointing you in the right direction. You can choose to walk either the shorter loop (approx. 2kms) or the entire path (approx. 6kms). 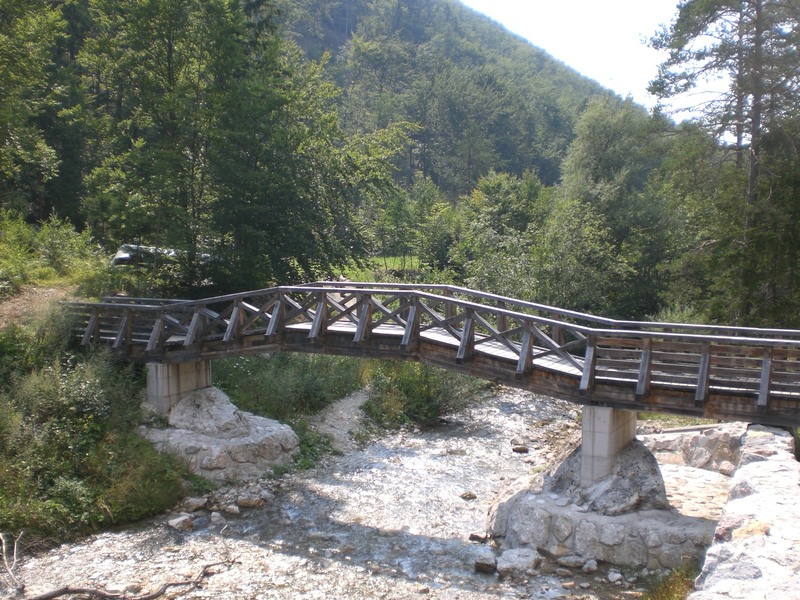 The path leads through the villages of Višelnica and Mevkuž, where you can either turn right for the short loop, or continue to Grabče, Krnica and Poljšica, eventually returning to the start of the path in Spodnje gorje. 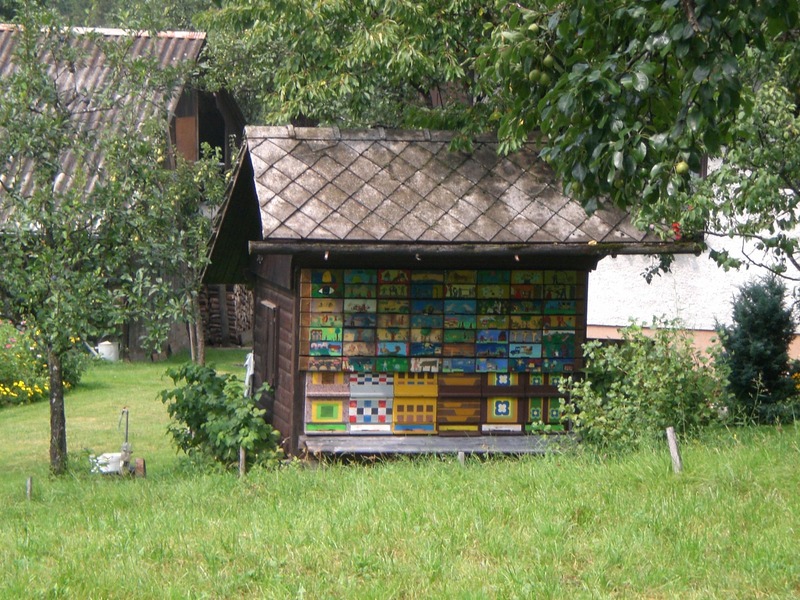 Along the route you will pass numerous beehives of varying shapes and sizes. They are not always easy to spot as they are often located in private gardens so keep your eyes peeled, however, there are also some that are right beside the path, such as this beauty below. 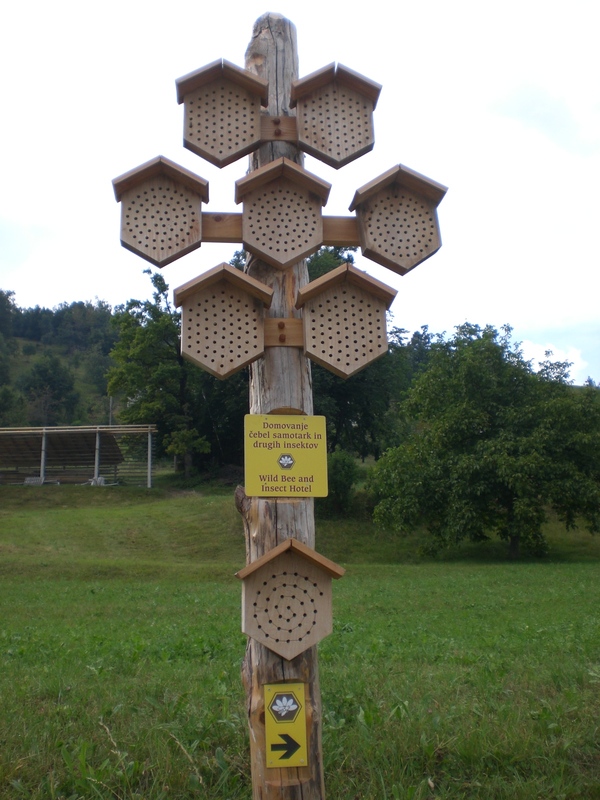 And there’s even a wild bee and insect hotel. If you get lucky, as I did, you might find a local beekeeper out tending his garden and/or bees, who will be happy to show you or tell you more. I got even more lucky that one lent me an umbrella for the brief downpour that I encountered en-route – thanks! 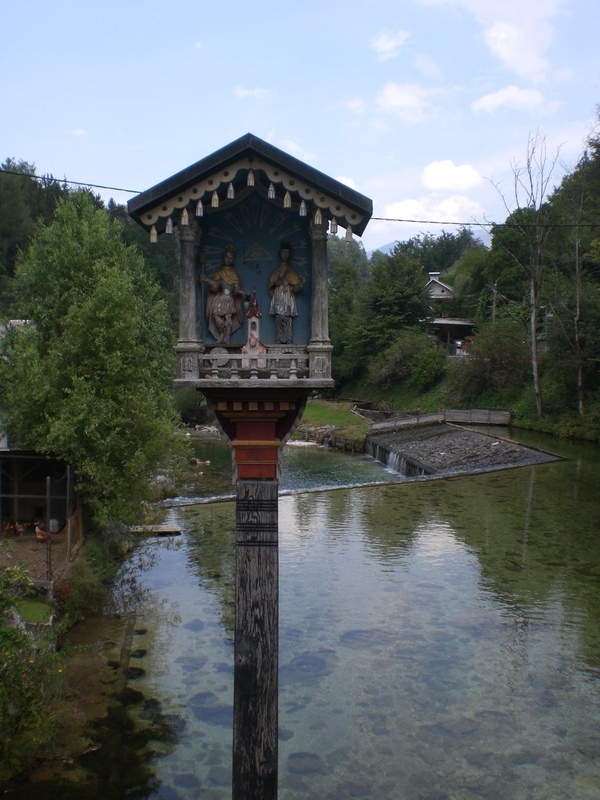 The village of Grabče is particularly quaint with its wooden bridge, renovated Grajski mlin (Castle Mill), former sawmill and iron-forge, and the tall wooden shrine which stands like a tower on a rock actually in the river. 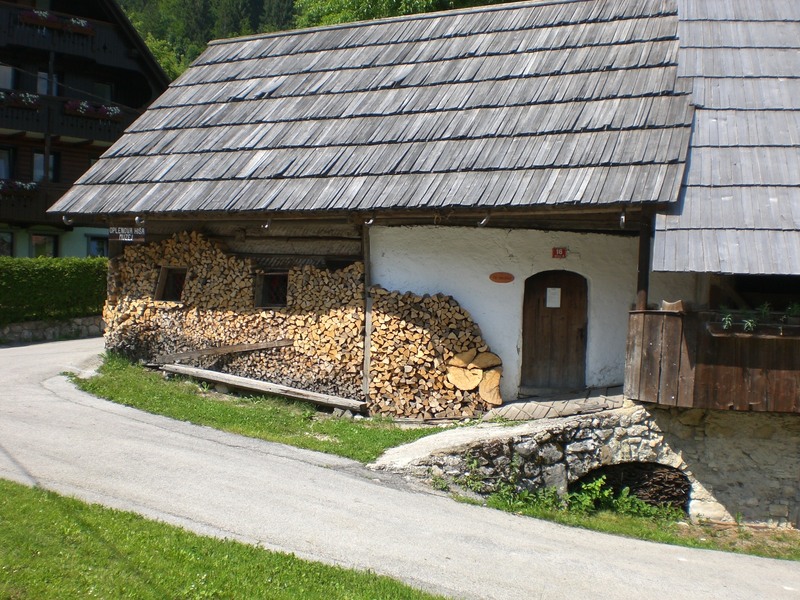 I’ve driven past these villages on the way to/from Pokljuka hundreds of times but have never taken the time to stop and walk around. Now I know what beauty lies within, I’m quite sure I won’t be in such a hurry to pass by in the future. Well, with sights like this, how could I resist! 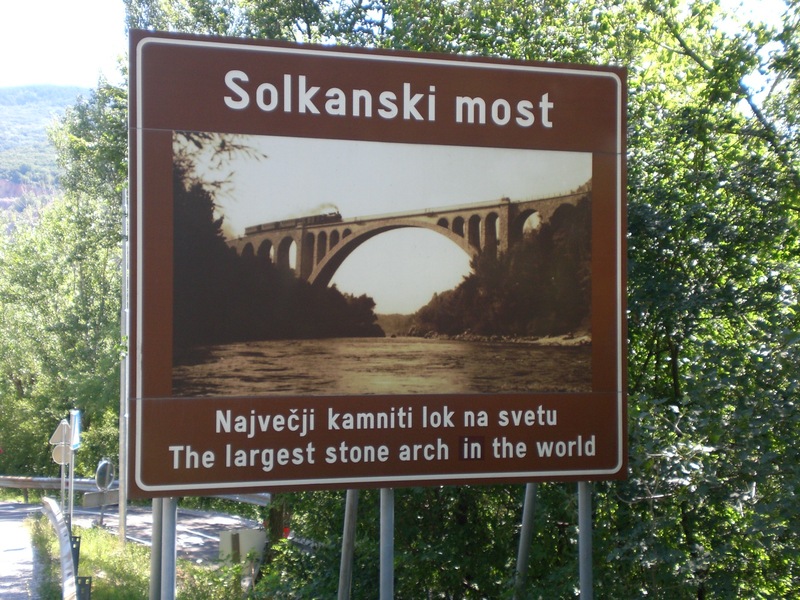 Solkan – The World’s Largest Stone Arch Bridge – and more! 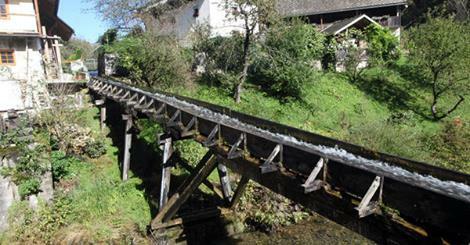 Solkan, which is just minutes from the city of Nova Gorica, is most known for its 85 metre-long stone railway bridge which claims to have the largest stone arch in the world. 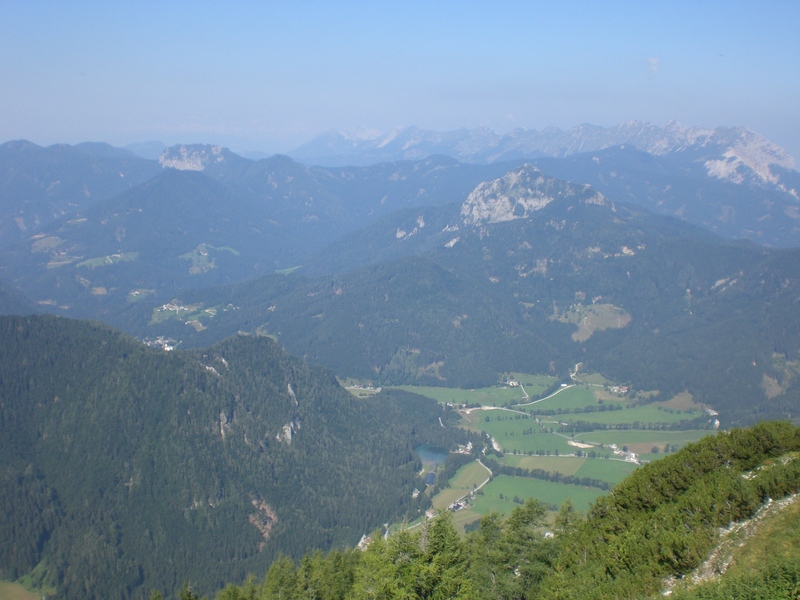 It was completed in 1905 but during the Sixth Battle of the Soča Front in 1916, it was blown up by the Austro-Hungary Army so that the Italians couldn’t seize it. Later, after the Treaty of Rapallo, when the territory was occupied by Italians, the stone arch was reconstructed. 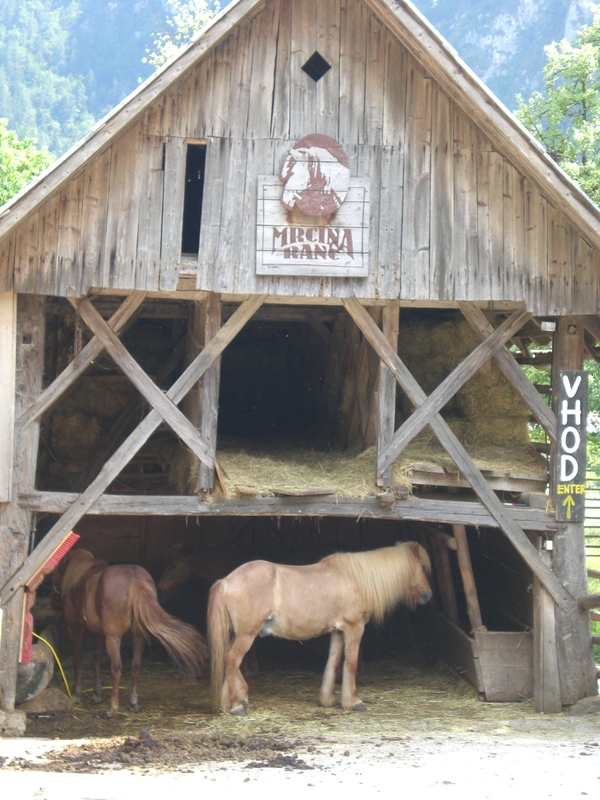 There’s also so much more to see and do in the area, as I found out during my recent 2 day visit. 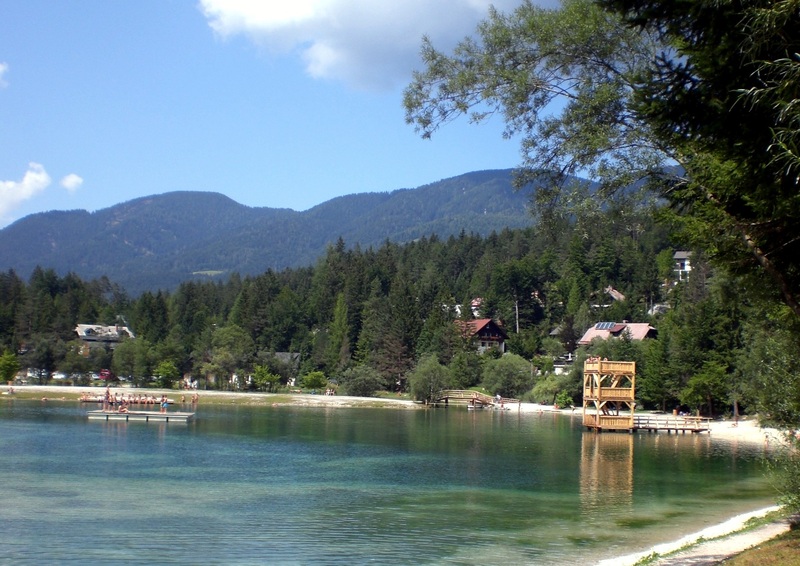 I stayed at Hotel Sabotin, a 3-star hotel which is well located for seeing all the sights of Nova gorica and Solkan, and has air-conditioning and a good restaurant. 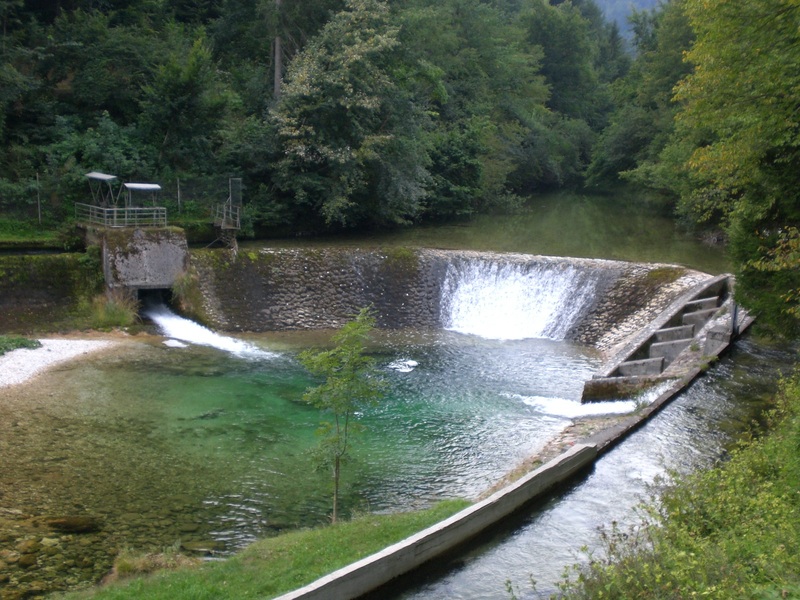 Almost adjacent to the railway bridge which runs over the stunning emerald green Soča river, the road bridge is a popular place for kayaking and bungee jumping. In fact, whilst I was there there were some brave/fool hardy/adrenaline junkies (delete as appropriate!) leaping off the bridge into the abyss below. Unfortunately, I wasn’t quick enough with my camera to snap it but, to get the gist, here’s a picture of what lies beneath! As ever, I prefer to explore an area by getting up above it to enjoy the best views and nature and Solkan has two great options right on its doorstop. 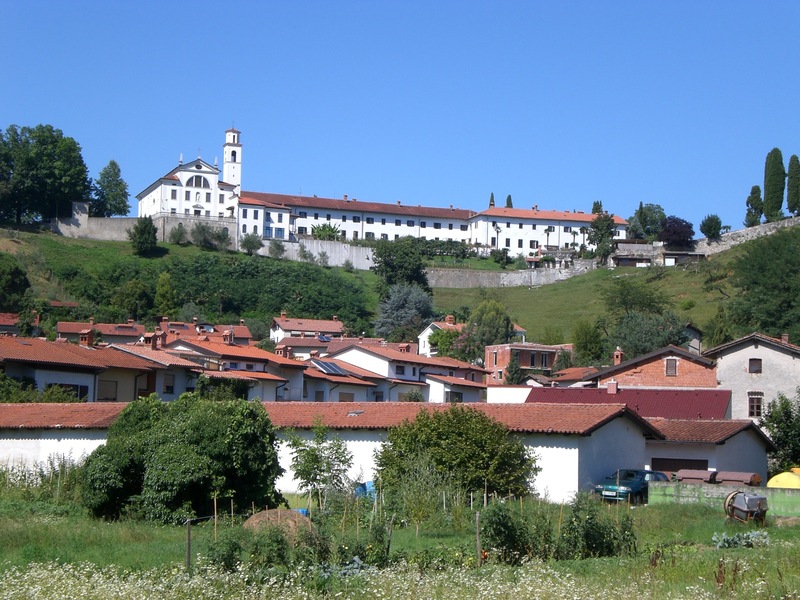 The first is Sveta gora (Holy Mountain) and the Basilica of the Assumption of Mary which is a popular pilgrimage site and also part of the extended Slovenian Mountain Transversal, however, you can also drive up if you don’t fancy the walk. There are numerous paths, many of which lead through First World War bunkers, so if pitch black tunnels aren’t your thing, then choose your route wisely! I chose a route which included bunkers but, in all honesty, after the first, relatively short one, I chickened out of the second 260m-long one and instead took the path around it. 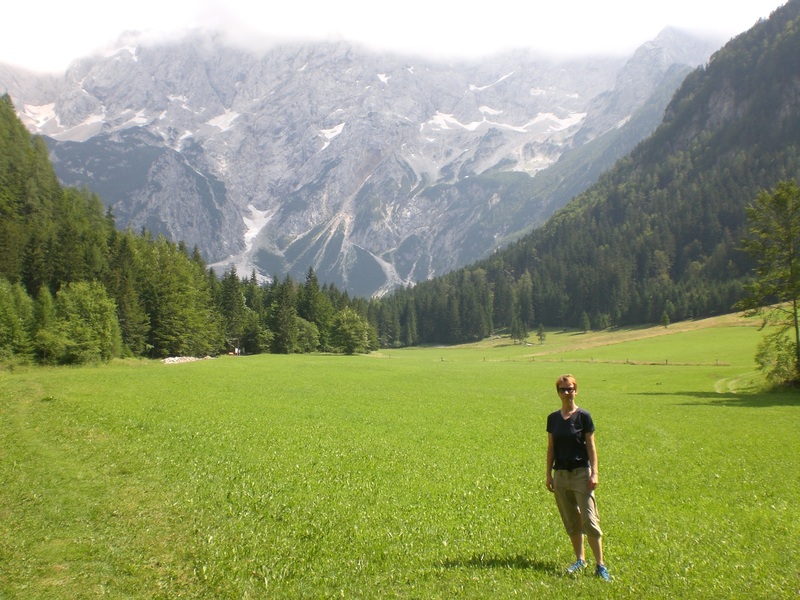 Although the sight is impressive up close, and offers panoramic views, you can’t actually get a feel for its sheer size from up close and, for me, the best view of Sveta gora came from the second hike I did that same day, to Sabotin. 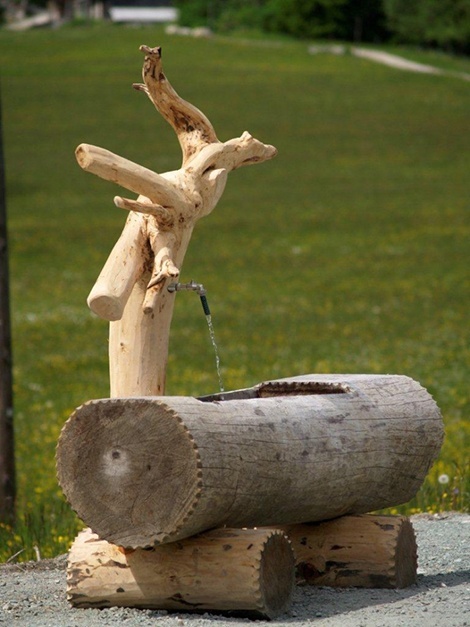 Mount Sabotin is full of interesting sights and sites. 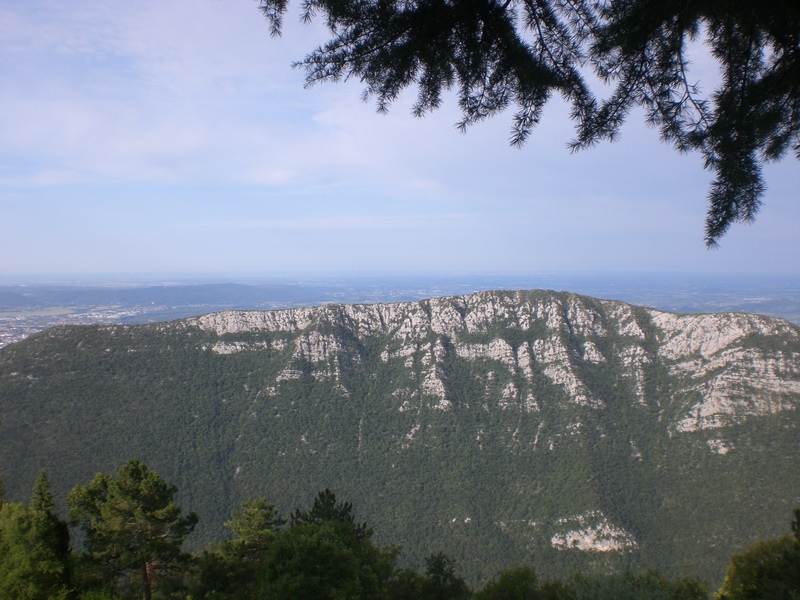 It is where the Alps, the Dinaric Karst and the Mediterranean meet. The ruins of the former St. Valentine’s Church and the entire area has been proclaimed a cross-border Park of Peace. I chose the southern route up, which is easier than the northern approach. 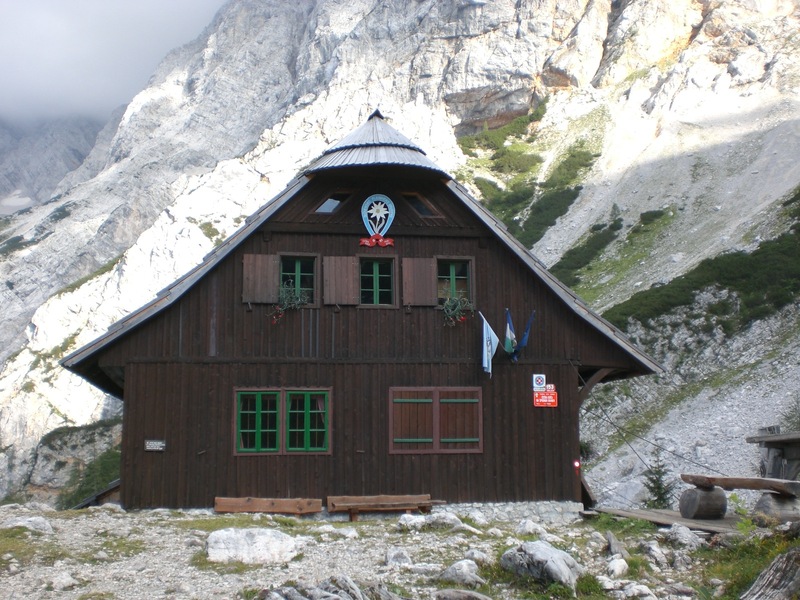 You can also go further along the ridge and visit the Dom na Sabotin hut (609m) for refreshments, which formerly served as a frontier barrack of the Yugoslav National Army, and where you can also see exhibits from the First and Second World Wars. 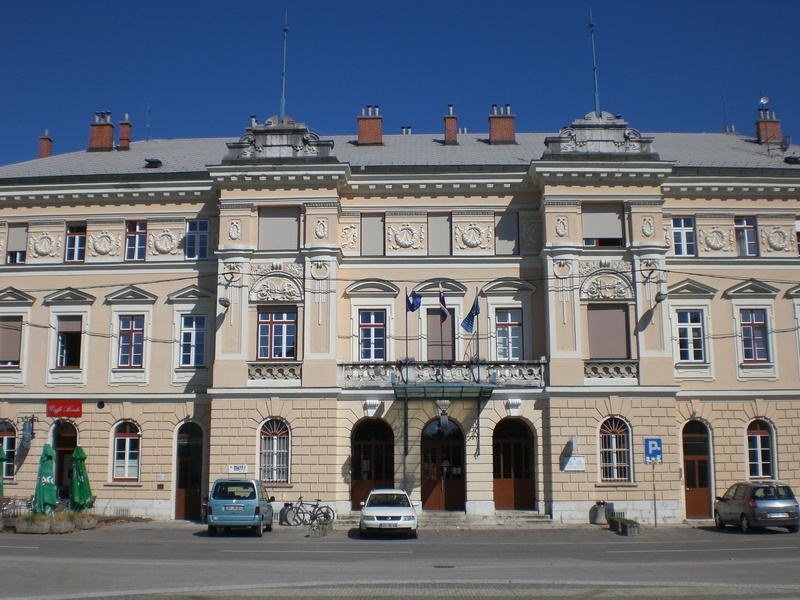 Whilst in the area I also took time to visit the city of Nova Gorica which lies directly on the border with the Italian city of Gorizia (Gorica). The railway line forms the border between the two countries and when you emerge from the railway station you could be forgiven for not knowing which country you are actually in. 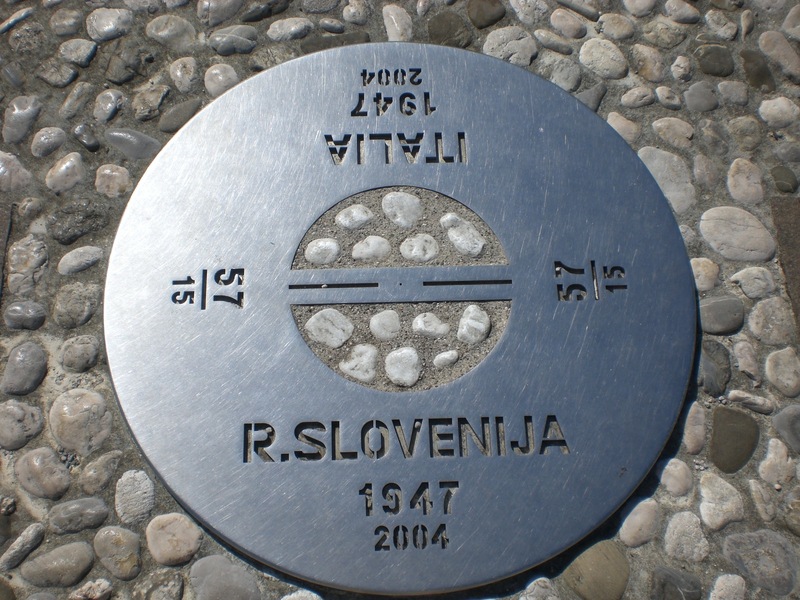 In fact, the few metres directly in front of the railway station, in Trg Europe (Europe Square) are, these days, jointly shared between the two countries and was named in remembrance of Slovenia’s accession to the EU in May 2004. In the past, however, it was all very different. 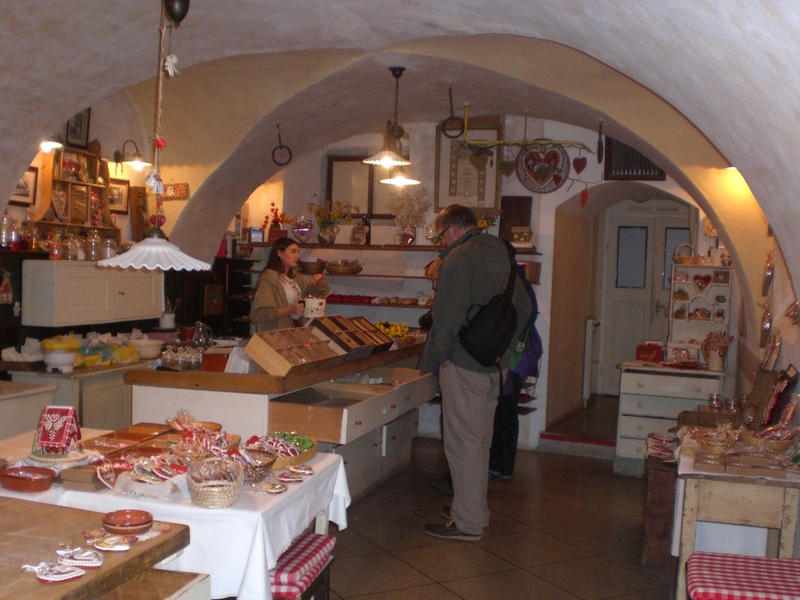 A (very) brief history; From 1500 until the First World War, Gorica belonged to the Hapsburg. During the First World War local people had to flee as refugees due to the conflicts between the Austro-Hungarian Monarchy and Italy. 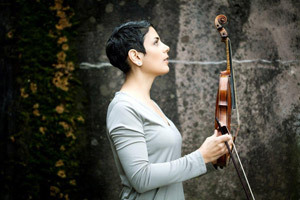 On their return there was a new state: Italy. After the Second World War a new state border was created between Italy and Yugoslavia, which led to the growth of new Gorica – Nova Gorica. 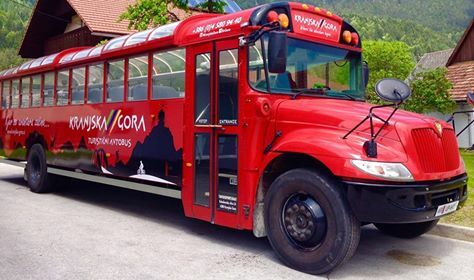 These days Nova gorica is probably best known for its many casinos. However, there city also has many sights of interest, too numerous to list here, but below are some of the main ones. The railway station, which is the oldest public building in the city and began operating in 1906, and also houses the Kolodvor Museum Collection. 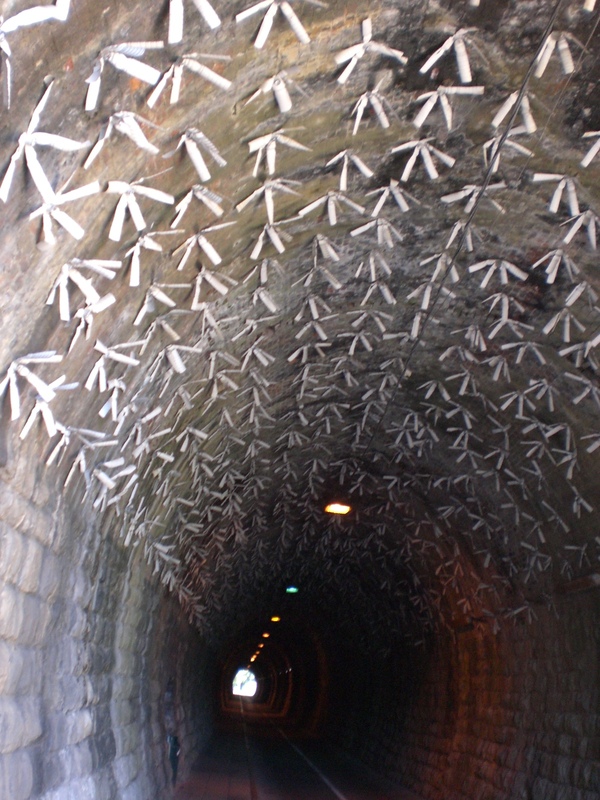 The roof of a tunnel for pedestrians and cyclists is entirely covered in plastic daisies created by Jure Poša. The city has many green areas, squares, and statues. 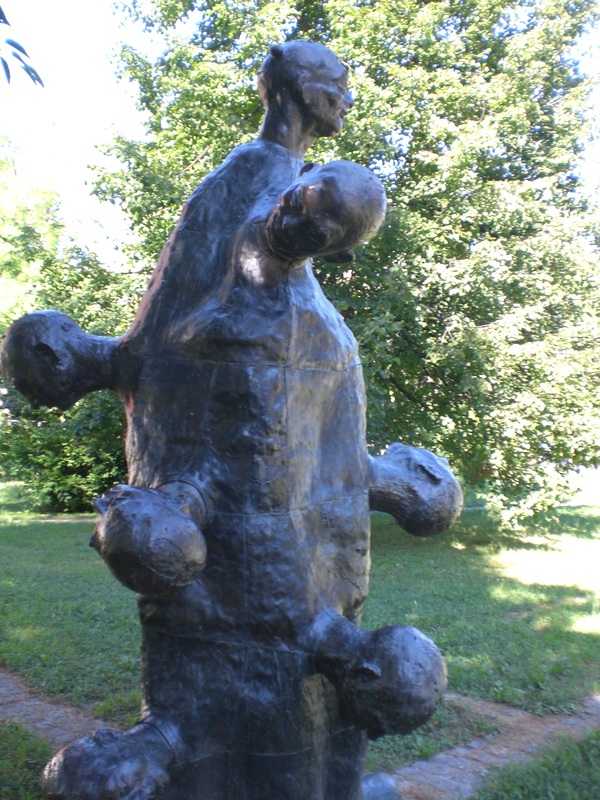 In fact, there is an entire street lined with busts and statues (Erjaceva ulica) – The Alley of Remembrance. 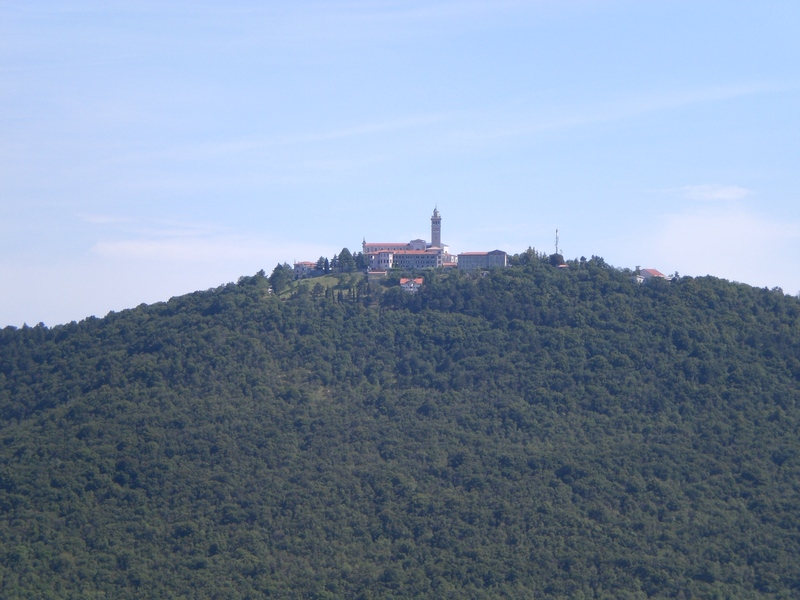 The Church of the Annunciation of Mary and the adjoining Franciscan Kostanjevica monastery stand on a small hill between Gorica and Nova Gorica on the Slovenian side of the Slovenian-Italian border.